I’m currently in need of some great ideas for homework stations and back to school organization! 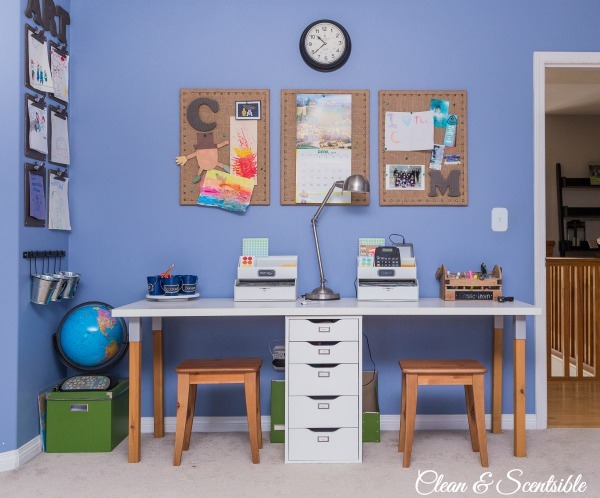 In our previous home, I had a handle on paper clutter, office and craft supply organization, and homework stations. But in this home I’m starting from scratch and it’s proving to be a challenge! 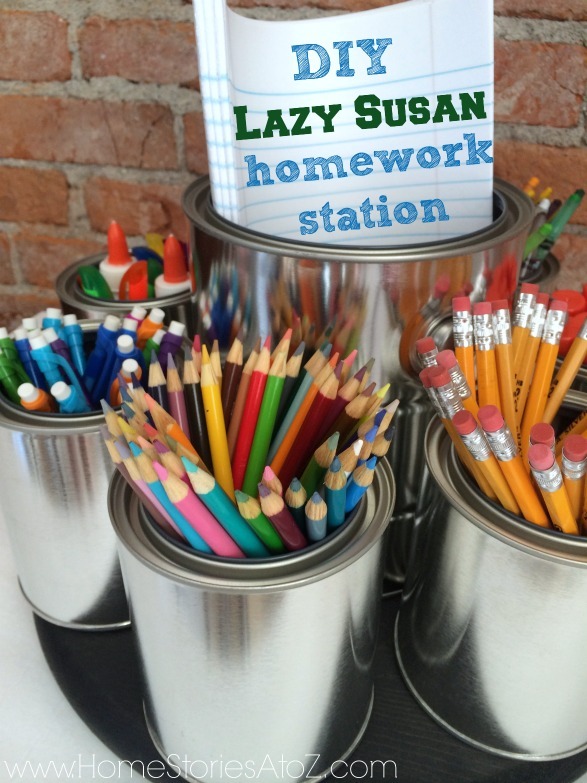 If you’re in a new space, or just need some fresh homework station ideas, I’ve got you covered! 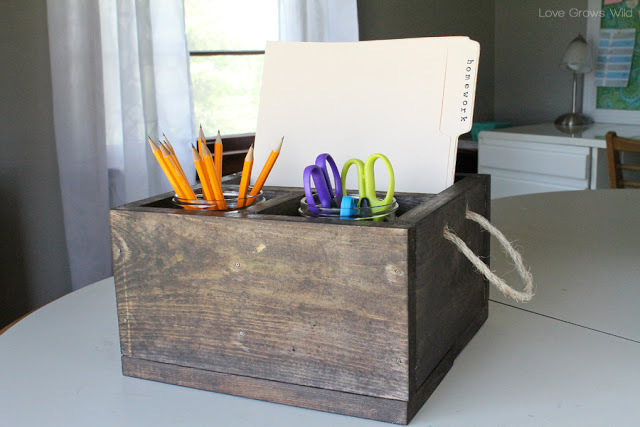 These simple back to school organization ideas bring both beauty and function. To find out more about any of the projects listed below, click on the blue/gray links to be taken to the original post. 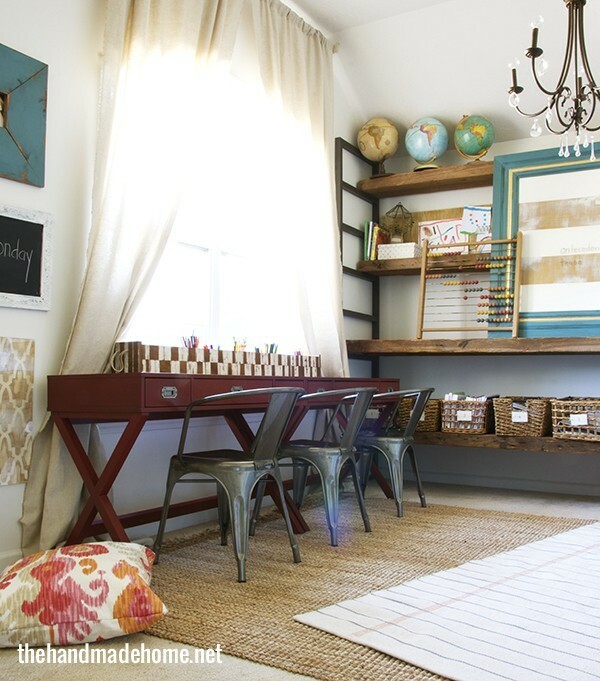 Vertical storage is always a good idea for a homework station! These wall-mounted pouches are beautiful and function and can be found linked on her site. 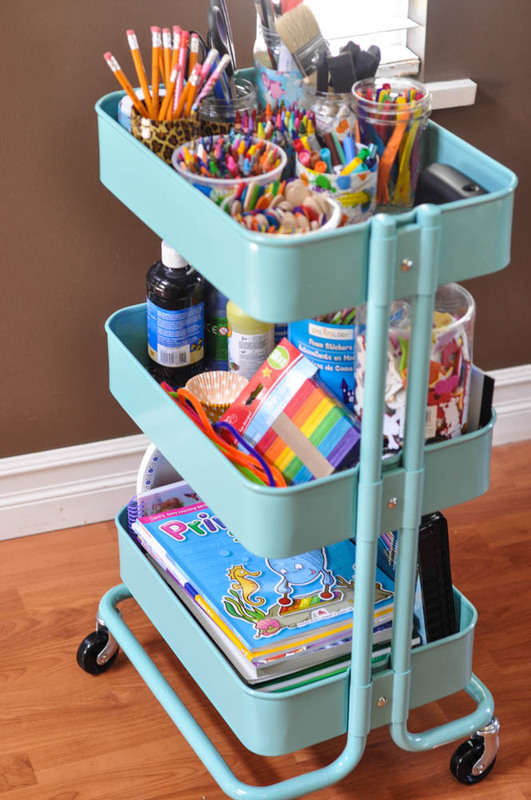 This cart is so handy for rolling from room to room, and from in and out of a closet. Information on the Ikea cart and the cute DIY container instructions are all provided in the post. What a tidy and relaxing space! On the desk you’ll see the long box that houses all of the writing supplies which is handy and beautiful! Click over to see more pics of this organized and pretty space. I created this command center as dorm decor. It is budget friendly,and so adorable! All of the DIY information from the clipboards to the storage containers is in the post. 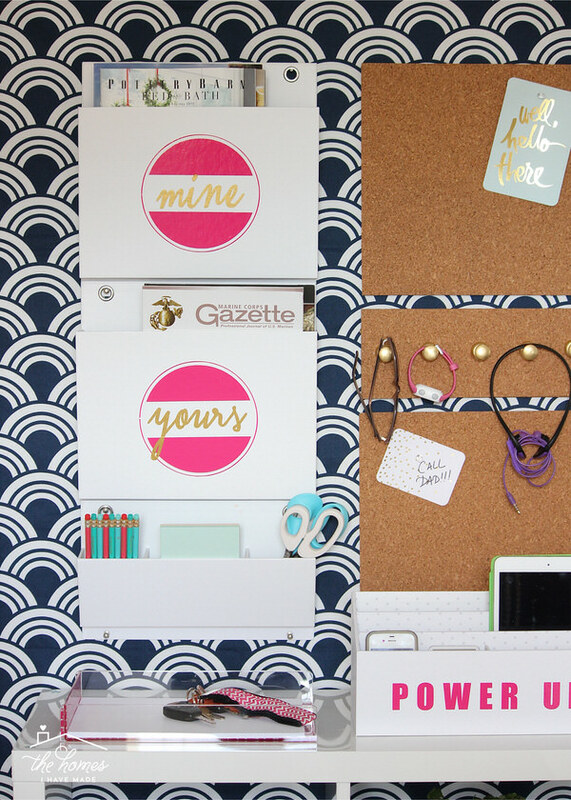 Fabulous way to repurpose an armoire and stay organized! I love that you can just close the doors when you’re done. An adorable DIY supply caddy that can easily be customized to your desired size. Organized and perfect for transitioning from little kids to big kids! 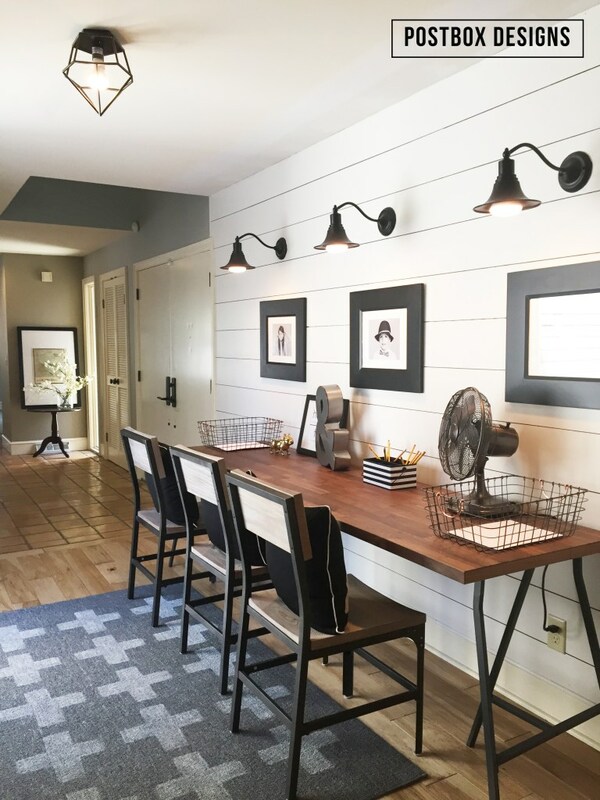 This beautifully designed homework station is perfect for unused space you may have in a hallway! You can find all the information on each item in the room by clicking over to the post. 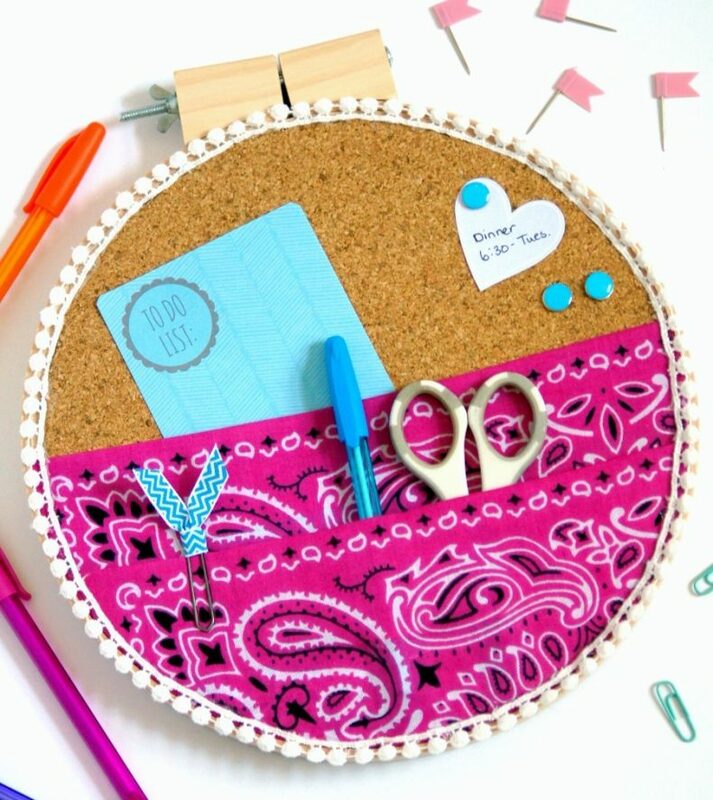 Here is a clever way to repurpose an embroidery hoop as a supply organizer. 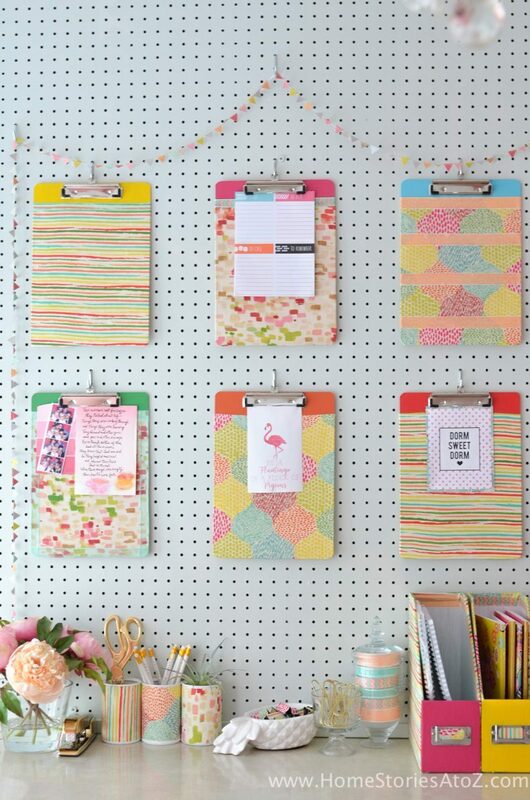 Add several to a wall to create a fun focal point that double duties as a homework supply organizer! Keep all of your supplies tidy and within reach with this lazy susan caddy. Learn how to make your own by clicking the link! Yay! Thank you for sharing your organization ideas, I’m definitely going to put some of these to action right away!